Standing in the town of Soave today you’d need to be an informed geologist to read the volcanic origins of the land. But beginning some 65 million years ago, there were volcanoes, and many of them, and they’ve left their mark on many of the region’s best vineyards. 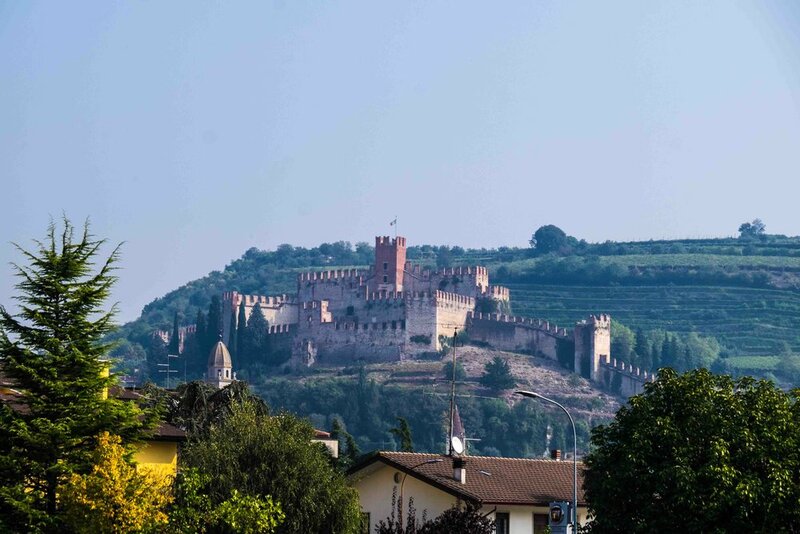 It’s also a region of split personality; an invisible fault that runs through the appellation marks the boundary between jet-black basalt and stark white limestone, making Soave an ideal place to study the differences in wines imparted solely by soils. Soave is Italy’s largest white wine appellation with 6500 hectares; its sheer size has made it one of the best-known Italian wines – surpassing even Chianti in the 70s in sales. Though the distinction is dubious; much of what the world knew as Soave was innocuous, mostly harmless white wine made from over-productive vineyards. How things have changed. Soave is one of Italy’s greatest white wines, but, as a bonus for wine-lovers, the heavy weight of the past has kept the price of even top cru Soave from soaring, also making these some of Italy’s best-value white wines. Garganega is Soave’s grape – one of Italy’s finest white varieties. Like, say, Chardonnay, it’s not boisterously aromatic, but highly reflective of its origins. It’s also remarkably structured and age-worthy, especially old vines from basalt soils – 20 years for the best crus is not a stretch.